The Mahrashtra Derby remained the biggest attraction on Day 1. 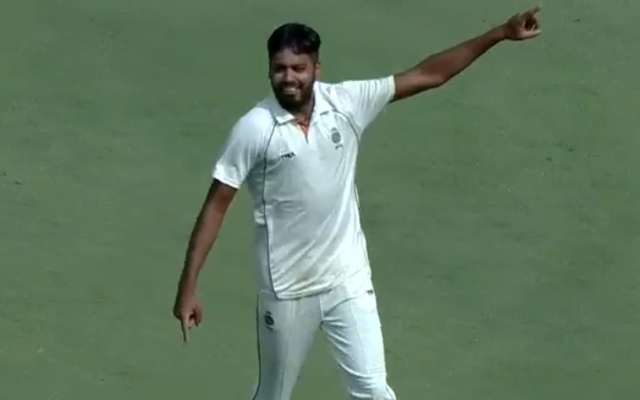 It was an exhilarating start to the fifth round of Ranji Trophy on Thursday as we witnessed quite a few teams laying a great foundation for a huge total. Gujarat ended up posting an above par total with Piyush Chawla scoring a hundred, whilst Jaydev Shah continued his purple patch to help Saurashtra get close to 300. When the Maharashtra derby goes on, its difficult for that game to not hog limelight. Interestingly, its not the 41-time champions Mumbai who have the upper hand, but Swapnil Gugale and Chirag Khurana’s big scores helped Maharashtra post 298 runs just for the loss of three wickets. They will be eyeing a score in excess of 450 on Day 2. A struggling Saurashtra seemed to have lost their way on Day 1 against Karnataka, but skipper Jaydev Shah once again came to the rescue. He fell three runs short of a well-deserved hundred, but ensured his side got to 288 for the loss of nine scalps at stumps. Jagadeesha Suchith picked up a five-fer for Karnataka. Gautam Gambhir‘s final game as a cricketer started with Andhra fighting their way towards 266 for the loss of seven wickets. Ricky Bhui registered a brilliant 150 and remained unbeaten at stumps. Despite not getting a lot of support, Bhui kept stitching decent partnerships with the lower middle order to keep Andhra in a commanding position. After registering a stunning win against Himachal Pradesh, Hyderabad stumbled badly on the first day of the fifth round. They got bowled out for a paltry 124 as Avesh Khan ripped past their batting lineup in style. Ajay Rohera and Rajat Patidar scored fifties to ensure MP ended their day at 168/1. Here are the scores from the other games happening across the country.